Before we get too far into our coverage of the Red Hydrogen One I would like to spend a moment addressing some of the most common claims I saw in existing reviews. Some of these are about design traits, others about hardware and/or software. I think I saw comments regarding the scallops on just about every single review. 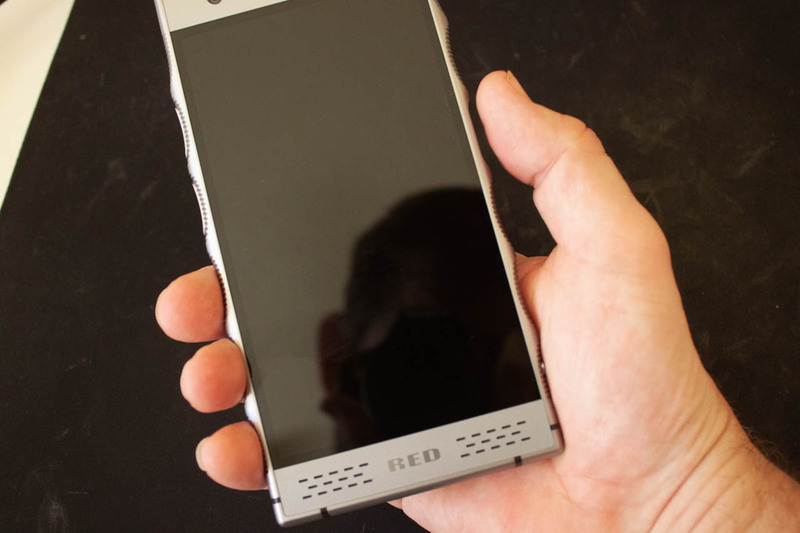 Granted, the Hydrogen One is a big phone and wider than most others. 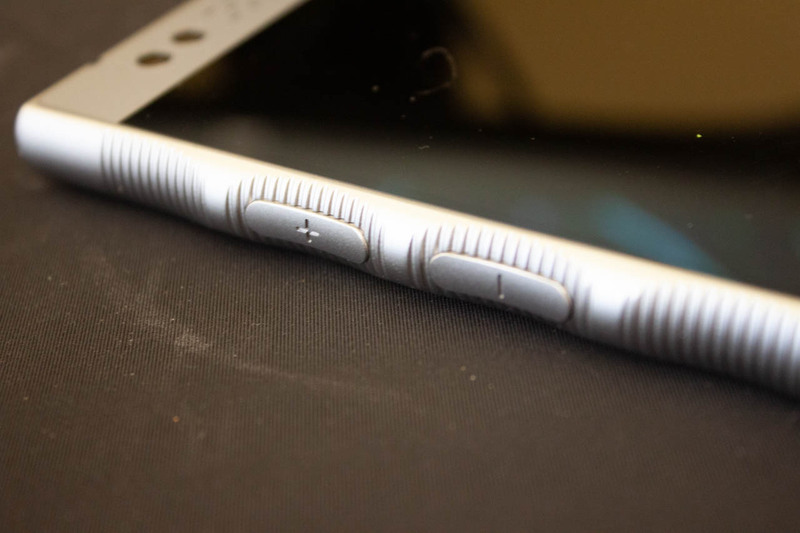 The scalloped edges with grips make the phone easy to hold without the need to grasp it tightly. Also, the button placement (on/off/wake, volume up and down, and the shutter button) all fit into the divots and are much more ergonomically placed than usual. After using the Hydrogen One for more than 30 days I find it fits naturally into my hand and that my thumb can hit the power button without the need to change my hold. My forefinger rests naturally on the back of the phone away from the camera lenses which reduce the smudges that end up on many smart phone cameras. Red put a lot of thought into this design and it works. Just listing the Camera as a topic is like saying “the sky”, but I saw a lot of complaints about the camera. These ranged from not being able to shoot 4-View in landscape mode with the front cameras, not being able to shoot portrait mode with the rear cameras, to complaints about the camera not shooting good 2D images. 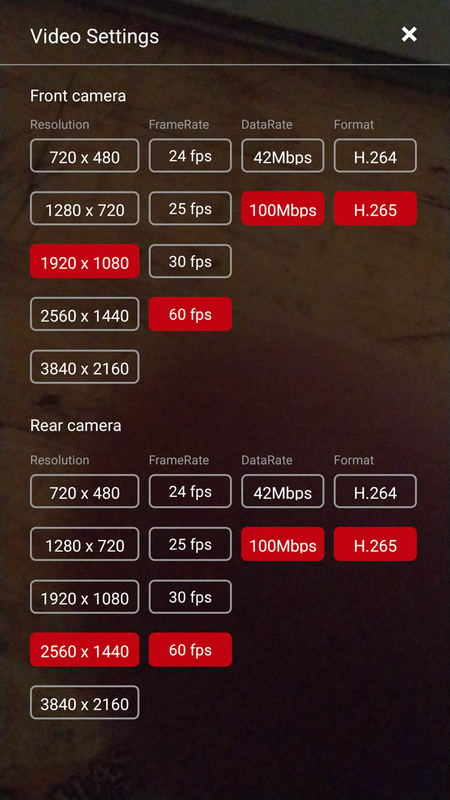 First things first: The Red Hydrogen One is not a simple point and shoot camera like most of your stock products. The camera software is meant for a different group of people and is still evolving. 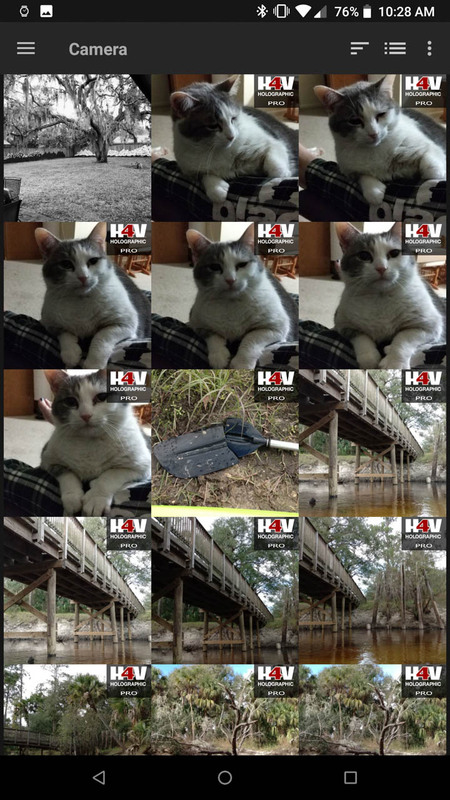 In the 30 days I have had the Hydrogen One the camera software has been updated 3 times and each time I have noted improvements to the algorithms that handle auto color profiles. 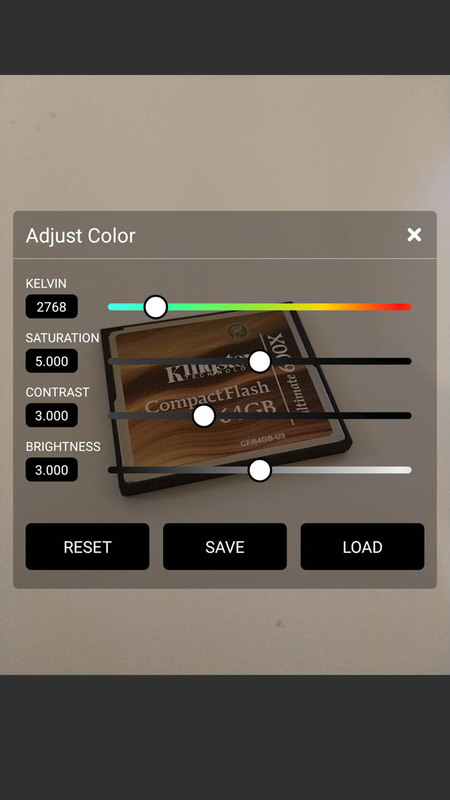 There is a live histogram and the option to manually create color profiles for different lighting. Having come from the DSLR world I love these options for the 2D camera as it allows me freedom to shoot the image the way I want (warm, cool, soft, etc.). 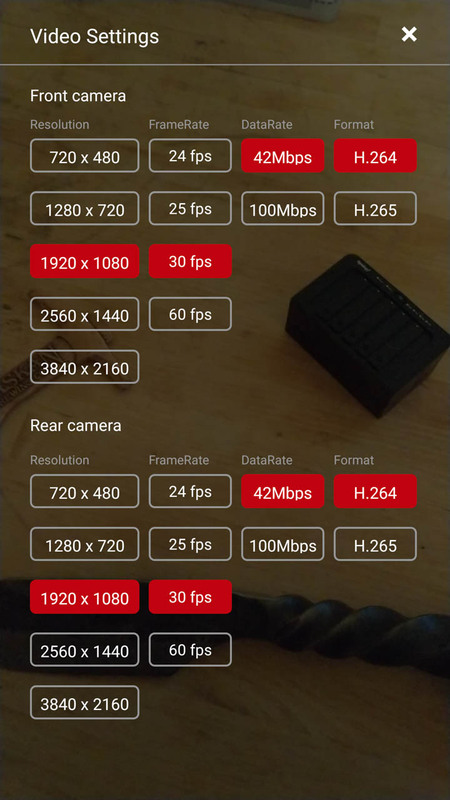 For anyone used to, or looking for, a camera that does it all for you, the Hydrogen One might not be your best option right now. Give it time though as Red and CloudMinds (the software developer) are always working to improve this major part of the phone. On the ability to not shoot “3D” in certain modes with front or back cameras: this is more about not understanding how stereographic holography works. In most cases the lenses need to be on the horizontal plane with the subject to properly capture the image in 3D. The back cameras are arranged to shoot landscape, while the front cameras are arranged to shoot portrait. This does not mean that it cannot be done, but the software would have a lot more to compensate for to shoot in those states and you are very likely to get errors in the way the 3D is captured. Professional 3D cameras will often have four camera lenses/sensors or will rotate so that you can shoot in 3D in both portrait and landscape. 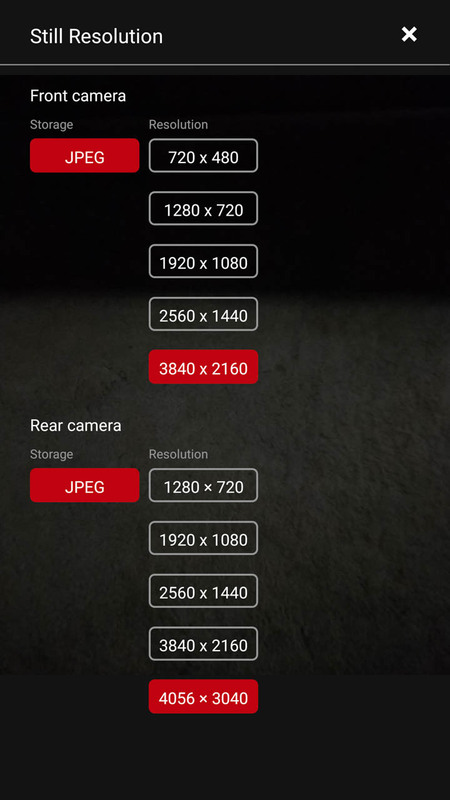 On something as small as a phone that is not really feasible if you are looking for good images (as Red is). The last major complaint I have heard/read about the camera is that the sensor is not made by Red. This is true as with many phones currently on the market. Making miniscule photo sensors is not all that easy to switch to when you have the latitude to build them as large as you need. My understanding is that Red is working on their own sensors and we will see them in add-on modules and possibly in future phones. Most of the existing reviews had to comment on the screen. My personal favorite was “it is not much more than what you get on a Nintendo 3DS”. This is so far from reality I am not even sure where to begin. The technology behind the display on the Hydrogen One and the 3DS are only similar in that they display a 3D image without the need for glasses. The similarity stops there. The screen on Hydrogen One was designed and build by Leia Inc and uses a technology they call Diffractive Lightfield Backlighting. According to the write up it adds “nanostructures to a convention display which allow it to expand the visual capabilities without taking anything away (battery life etc.). For those reviewers that claim this is not any more than the 3DS display, I am not sure what they were looking at, but it was not the screen on the Red. Other than some very basic animations the 4-View display is actually quite amazing. 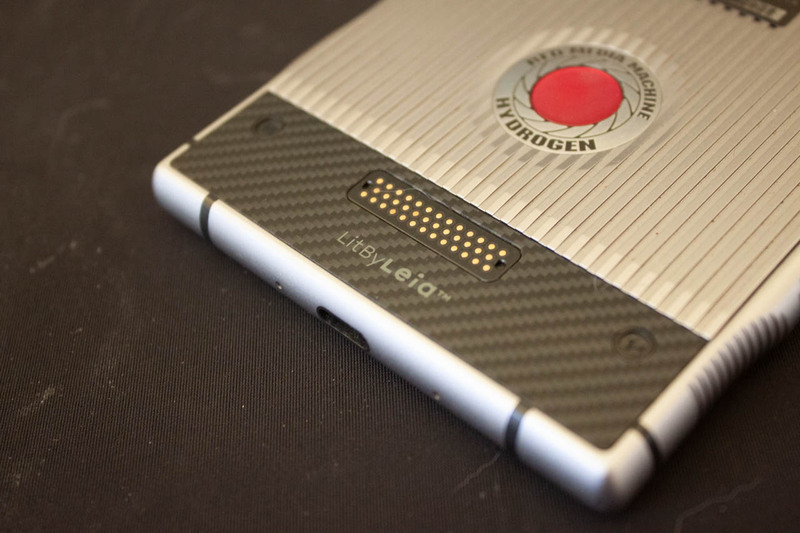 We took the Hydrogen One out to show it around and most people felt compelled to grab the phone and stare into it. The looks of amazement were clear on everyone we showed it to. The 2D display is also very clean, once you get it set right. For some reasons the display is set to a 200% zoom right out of the box. This makes everything look a tad cartoonish and harsh. Once you change the zoom back to 100% everything looks clean and sharp. I am betting that most of the reviewers out there never thought to check for that. 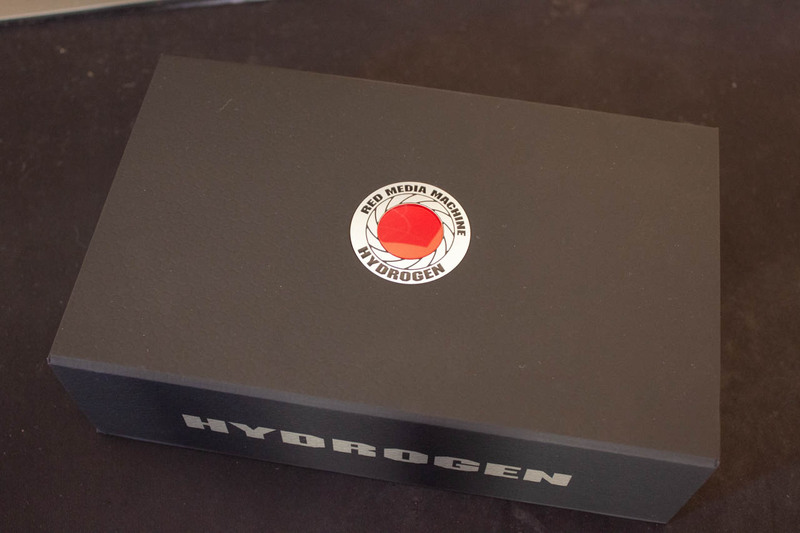 The Hydrogen One is a first-generation product. The hardware and software for it are new and you can expect there to be some bugs in it. The developers are already on top of most bugs and take all user feedback very seriously. There is even a user feedback app that allows a user to submit ideas, questions and issues directly from the app (including being able to upload logs). This is a welcome and handy little option to have. Even with the normal bugs expected in a new application working with the games and apps have not been problematic at all. 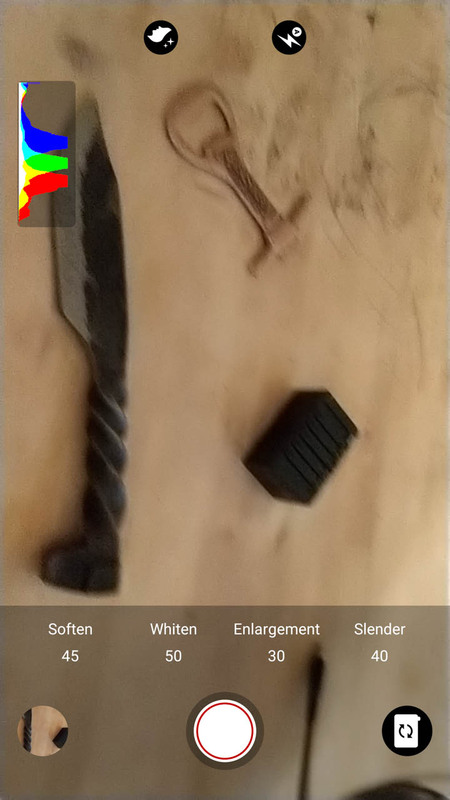 They function well and are all quick and easy to use. 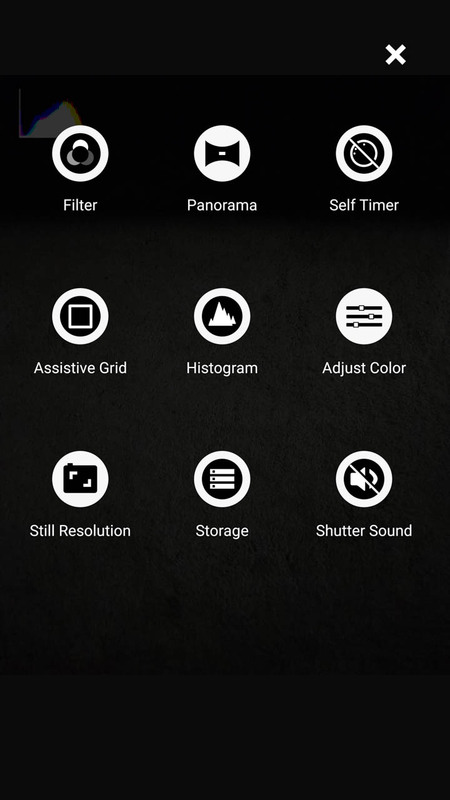 The Hydrogen One has the option for add-on modules which makes it so much more than a phone. The problem that many have is that none will be available for purchase until next year. This is only a little bit of an issue though and not a major problem with the phone. Most companies are not going to fork over the money to produce expensive add-ons without having an understanding of the market for them. 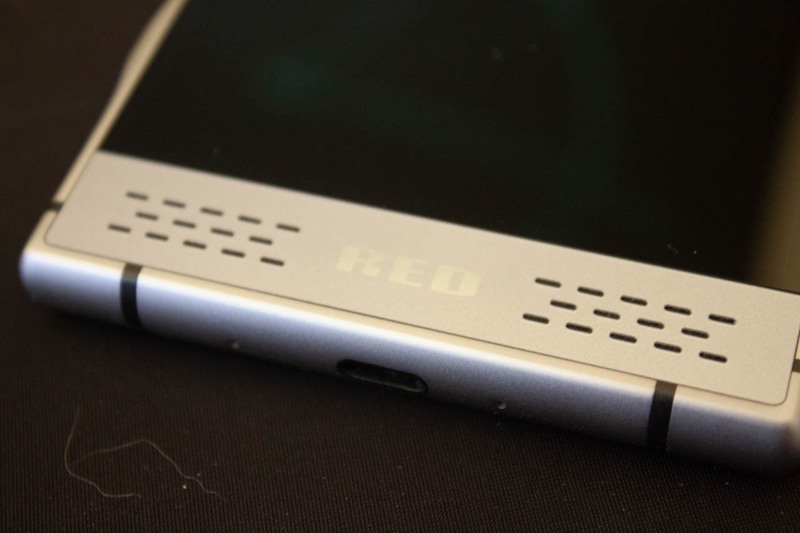 By knowing the demand for the phone, Red will be able to properly approximate the demand for the add-ons. It is really a simple business process here. The box that our Hydrogen One arrived in from Verizon was rather larger than expected, but after lifting the magnetically latched cover we found that it was due to some very impressive packaging material. All designed to keep our new Red Hydrogen One safe during shipping. Beneath the phone is a small flat box with instructions and warranty information. Other than the phone and documentation the only thing that comes with the Hydrogen One (if you buy through Verizon at least) is a large charging block and a USB c to USB c cable. Not having a pair of headphones was an obvious omission, but as most included headphones are crap, I did not miss them too much. The Red Hydrogen One is not what you would call your run-of-the-mill phone. It was designed as a media creation and consumption device with the added benefit of having a smart phone attached to it. 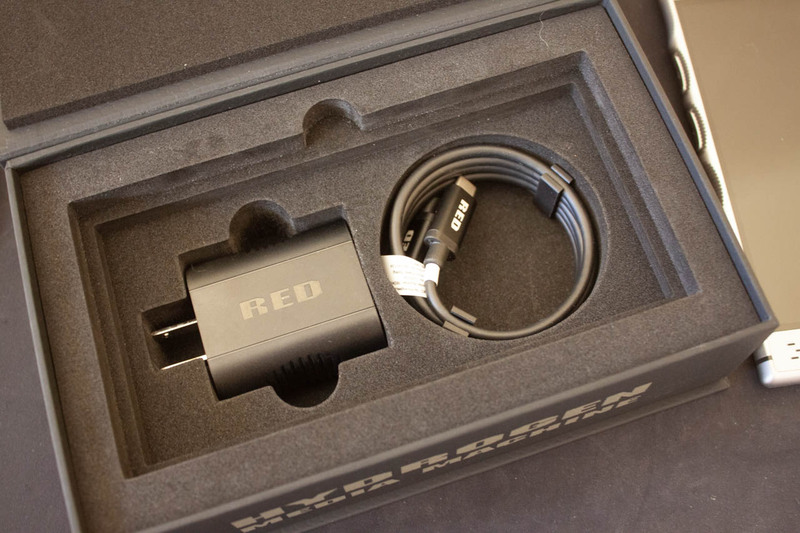 Just by looking at it you can tell it is very much a Red Digital Cinema product. 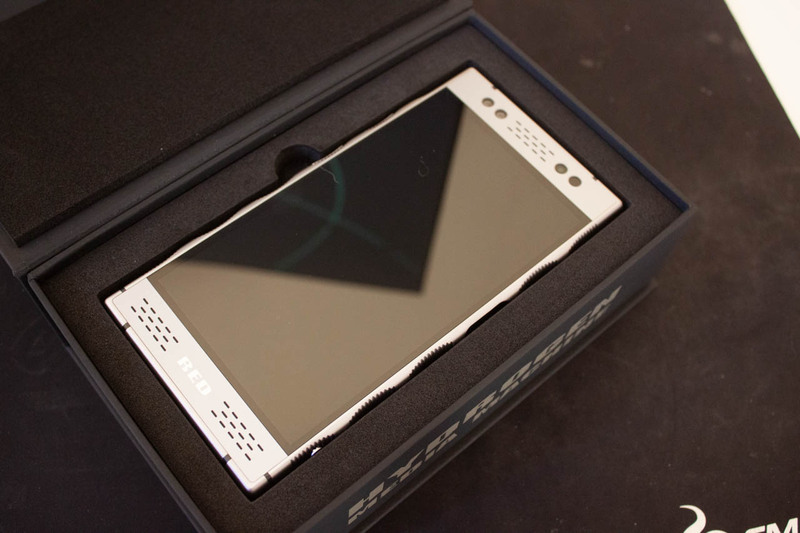 The design is different than your traditional smart phones, very different. 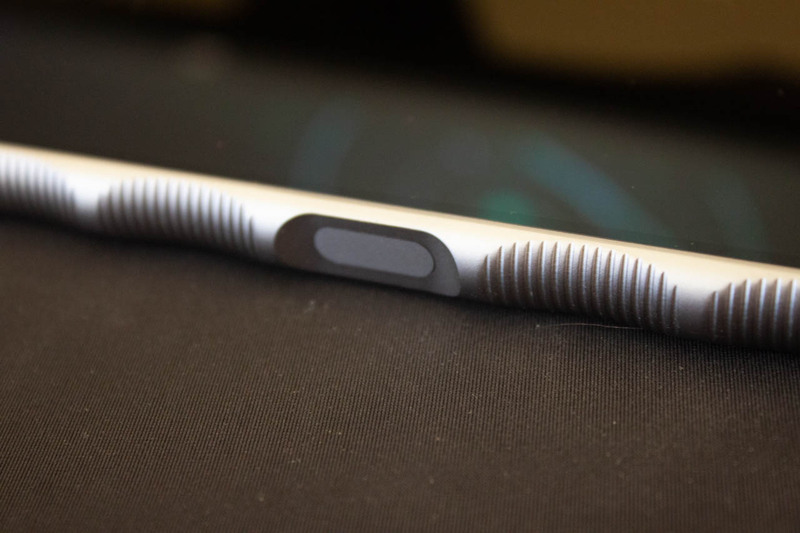 To start, the most common flavor of the phone is anodized aluminum, there is a highly limited titanium option, with Kevlar backing pieces around the camera and Pogo Pin port. Another departure from current phone design, is the framed screen (not full screen or even glass). 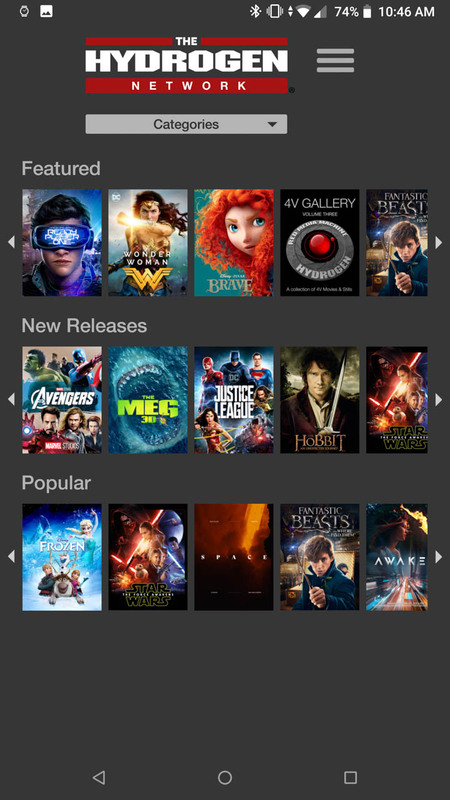 You have a top and bottom area that makes the display into the more traditional ratio for movies. 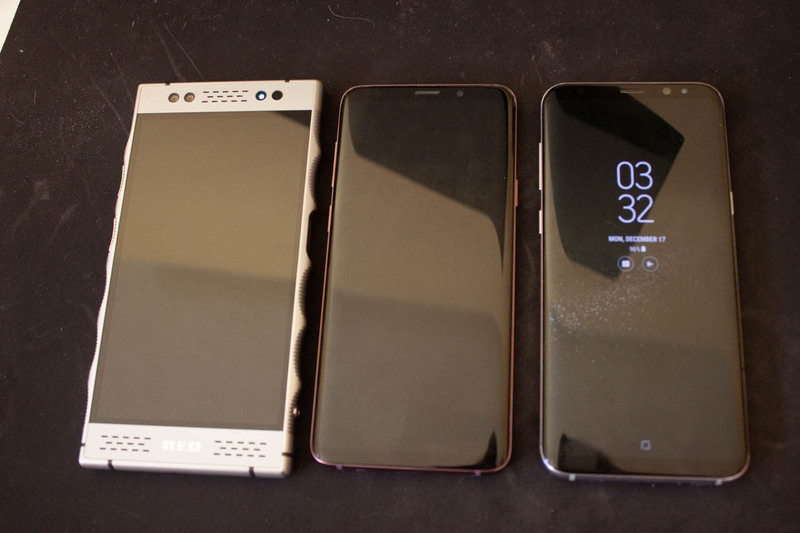 Although not that much taller than other phones the Red Hydrogen One is noticeably wider. This width gives the impression of a much larger phone until you pick it up and hold it. With the scalloped edges (with groves cut into them) the Hydrogen just seemed to fall into my hand. My three bottom fingers met the groves easily and I did not need to grip the phone tightly for me to feel like I have a solid grip on the phone. With my index finger to the left of the camera plate, my thumb was in the exact right spot to hit the power/wake (and fingerprint scanner) button without any need to stretch. The volume buttons were also in easy reach making everything very comfortable despite the industrial look to the phone. In the top bezel is a speaker (as you would expect) along with an alert light on the inside right and front flash on the outside right. The two openings on the left are a pair of cameras (8.3MP or 3840x2160). 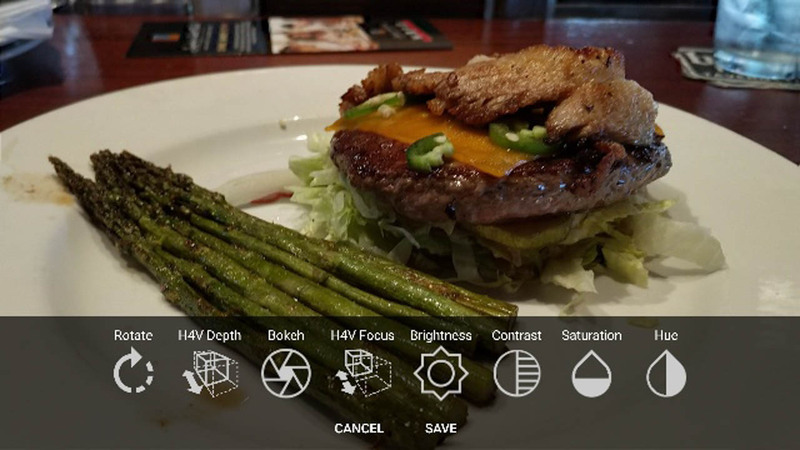 When in portrait mode they can capture 3D stills and video (H4V is the default format). 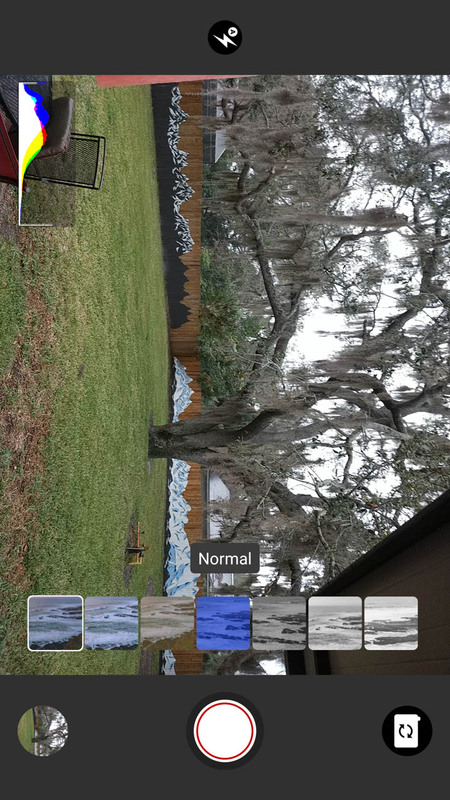 In landscape mode they switch back to a 2D camera. 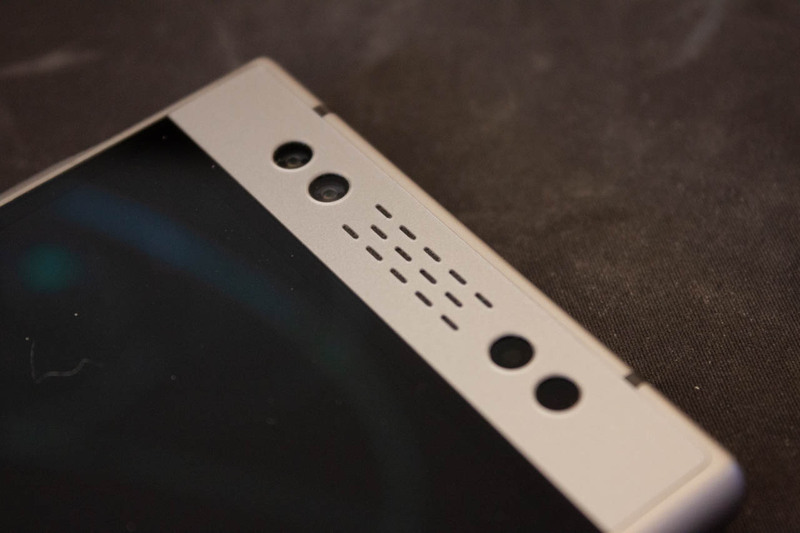 The lower bezel contains another speaker (in the opening to the right) for true stereo sound when viewing media content on the phone. Red calls them Deep Cavity speakers and there is A3D Spatial Surround software to add some extra depth when you want it. 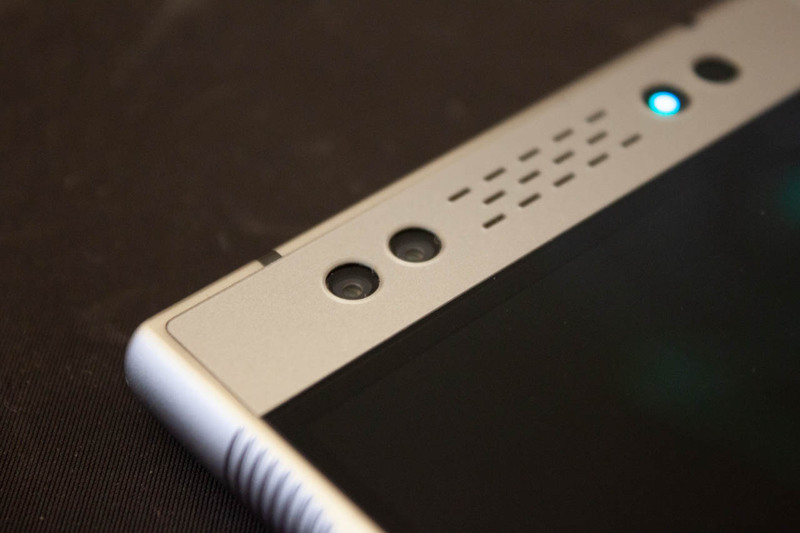 The screen itself is a 5.7-inch WQHD (2560 x 1440 - 515ppi) 3D Display (LTPS-TFT) and is “Lit by Leia”. Leia is the company that provides the magic behind the Hydrogen One’s screen. The technology is proprietary and not really explained that well by Leia. However, the concept and theory behind this type of technology is fairly straight forward, even if the particular implementation might not be. To massively oversimplify, the screen will create micro structures of layered light. Each one of these has slight differences in the way the light is displayed to give the illusion to our eyes of depth and distance. There have been many implementations of this tech over the years, but so far this is the cleanest and most impressive I have ever seen in a device this small. To make things even better, the 4-View display can be improved through algorithm updates long before you need to actually update the display itself. Flipping the Hydrogen over we find the main camera. Dual 12.3 MP (4056x3040) sensors sit ready along with an LED flash. The dual cameras are set to take more 3D stills and video as long as you are in landscape mode. 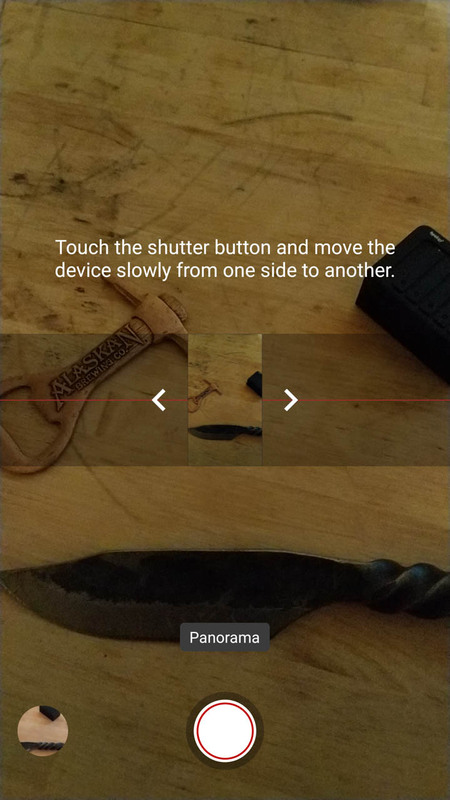 The automatically switch back to 2D mode when you rotate the phone to portrait mode. 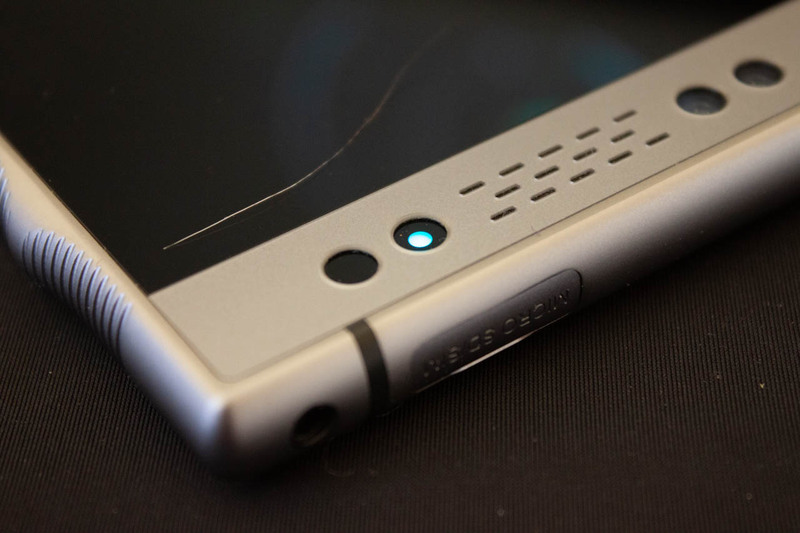 For the rear facing cameras Red also gave you a “shutter” button on the lower right edge. With the top and bottom bezels this is a well-placed option for you to use and keep your thumb and other fingers off the phone screen. Red has included a Pogo Pin port for future expansion modules that should show up in 2019. 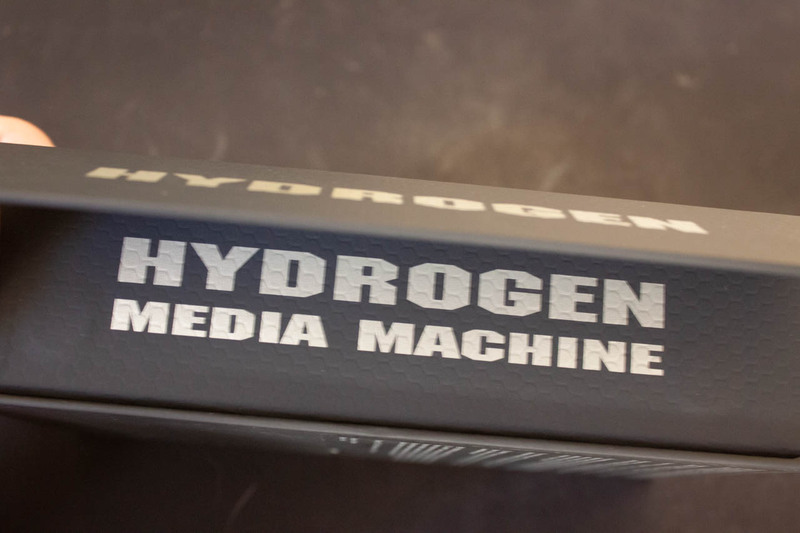 These modules are expected to add more functionality to the Hydrogen making it an even more formidable media creation device. Rounding things out are a 3.5mm headphone jack at the top right next to the SIM and Micro SD card carrier and a USB C charging port at the bottom. As you read earlier, the cameras on the Hydrogen One have not gotten the best, or the proper coverage. In some cases, it seemed as if the reviewer spent little to no time using the product. The outcome was a lack of understanding of the cameras, the software driving them and how to use them to best effect. My review of the Red Hydrogen One was not a 10- or 15-minute play time with the device, but a 30+ day test of the product and what it can do. Having a background in photography I have always looked for more flexibility and options in a phone camera than most can provide. Even when using Samsung phones (I had been using a Note 8) I often switched to Pro Mode to take pictures. The Red Camera software provides quite a few options for someone like me. I could even build my own color profiles for different lighting types instead of relying on the camera to tell me what it should look like. 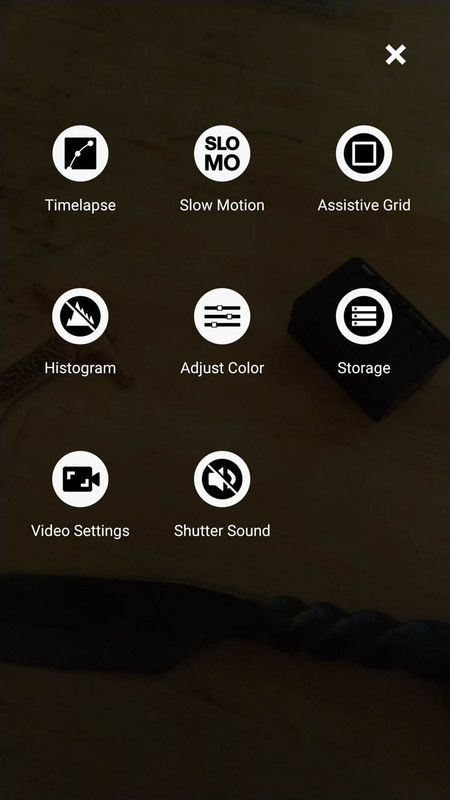 You can see all of the options for still images below. As you can see, there are a ton of options to set the camera up to your liking. I do wish there was a RAW option for photos, but I am not sure how that would affect the H4V default format. 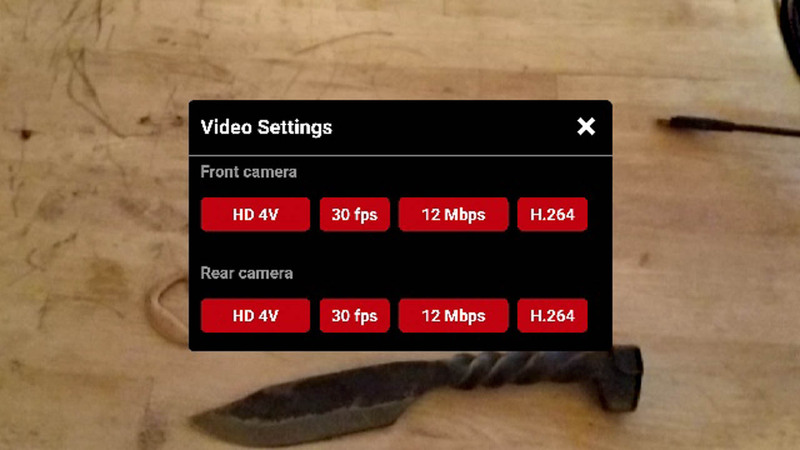 Speaking of H4V, The Hydrogen 4-View format is what the Red Camera will save 3D images to, while it also saves a regular 2D image when you are using the “normal” 4-View camera mode (front or back). 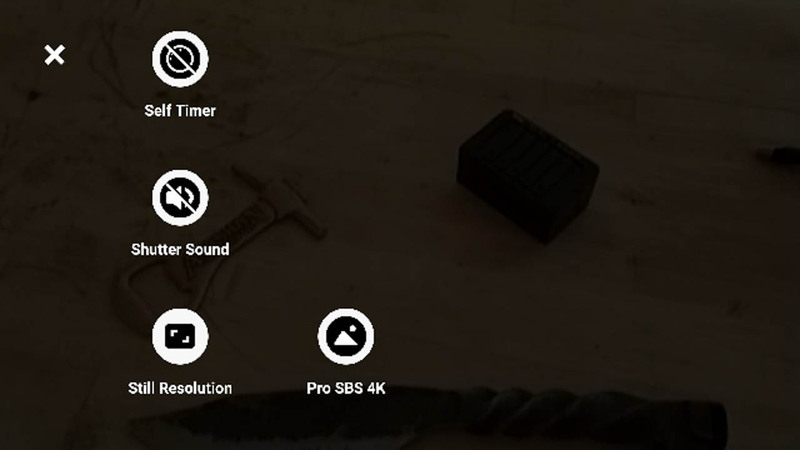 There is a more advance option called Pro SBS (Side by Side) 4k mode that takes a much cleaner 4-View image, but the 2d still will have two images (of the same shot) side by side (hence the name). 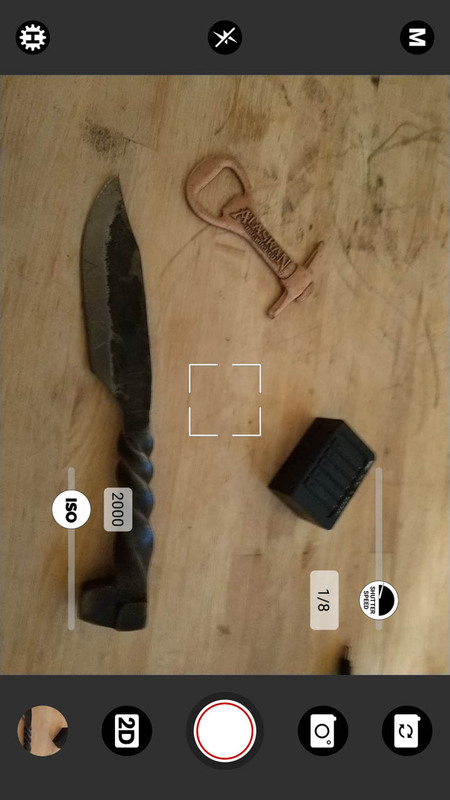 Using this format with some sharing software can cause some issues as the app will want to send the entire image and not just one side. I saw this most commonly with Facebook (and messenger) as well as the built in SMS app that Verizon pushed onto me. I found that if I wanted to share a photo with someone, I would crop one side off and save a new copy using the built in Photos App, or more commonly I would know I wanted to share and would take a 2D only image to share with the “un-cool kids”. Now there are some quirky things about the Red Camera software that I found odd. There are two default image viewers. 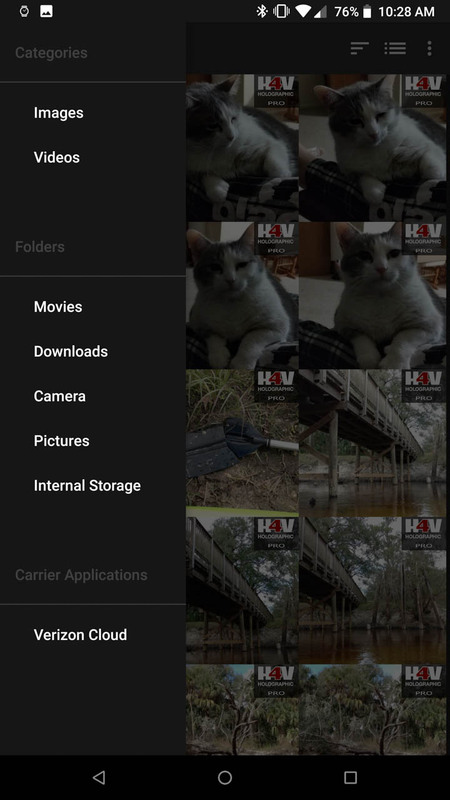 For standard stills and videos, you are taken to the built in Photos App which is part of the Android OS, and when shooting H4V images and video you are taken to the Red Player (which we will cover in a below). I was unable to find a way to make the Red Player the default for both when pivoting from the camera. I found it easier to exit the camera and open the Red Player for both H4V and 2D shooting. Another item that I found disappointing is that the Histogram overlay, color profiles, and digital zoom do not work in 4-View mode. As soon as you switch to that mode all three are disabled (and a few other items). Now, I get that using a digital zoom with a 3D image can be problematic, I would have liked the ability to zoom in on objects when shooting in 4-View mode. The image quality of the H4V stills and video are simply amazing. You have to see them to believe them (as corny as that sounds). I took the Hydrogen One out to show it to a broad range of people and the most common response to the images was to reach out and grab the phone so they could see them better. In many cases I took a new picture for them to see that the Hydrogen One was capable of taking that quality of image. Personally, I was very impressed with how the Red Camera handled reflective and clear surfaces. These came out with excellent detail and I noted that reflections in glass retained some of their depth as they would in real life. I wish that I could show you some of these images in the review, but the image format is proprietary and you would all need a Hydrogen One to see them properly anyway. Now that we have gushed about the H4V images we will dive into the 2D images for a little bit. Here we can say that the 2D images were clean and crisp with excellent fine detail. Having options like the Histogram overlay and custom color profiles gave us a ton of flexibility when shooting in different settings. 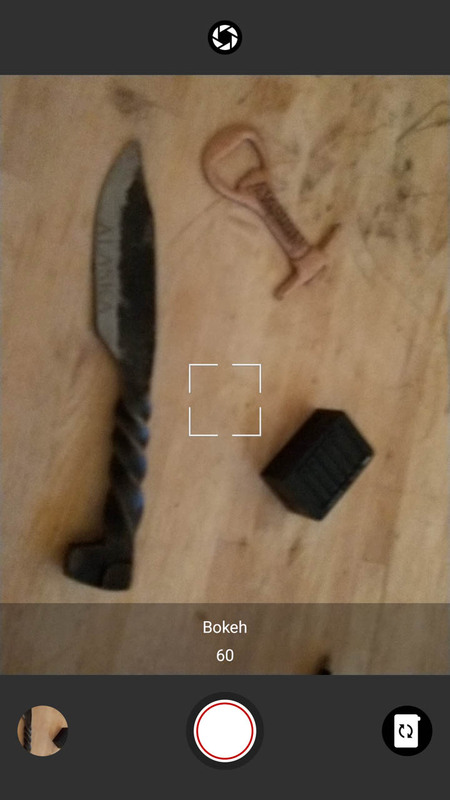 You can see some unedited samples from the camera below. 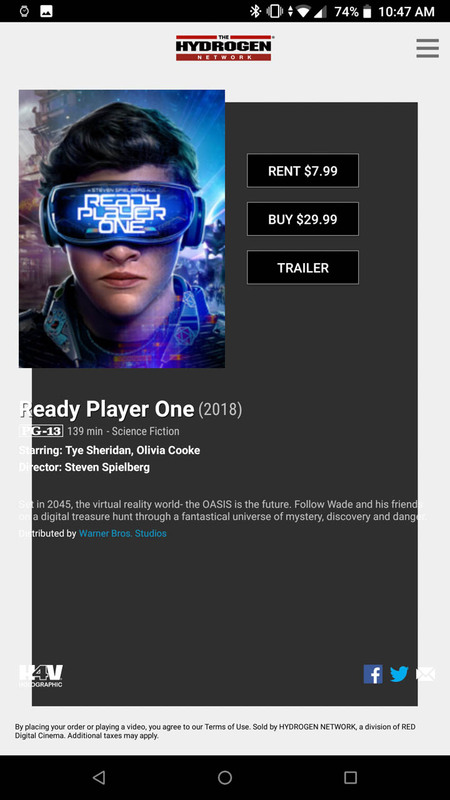 As you might imagine, you cannot simply download 4-view ready applications and games from the Play Store. 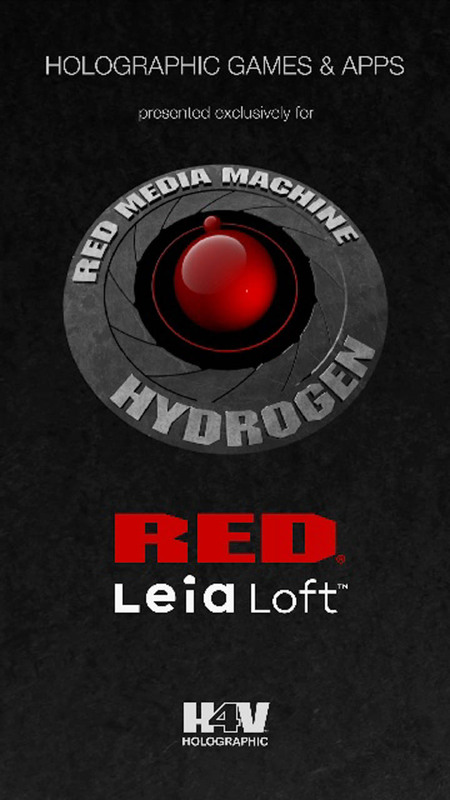 To address this the Hydrogen One comes complete with its own special app store called RED|LeiaLoft. 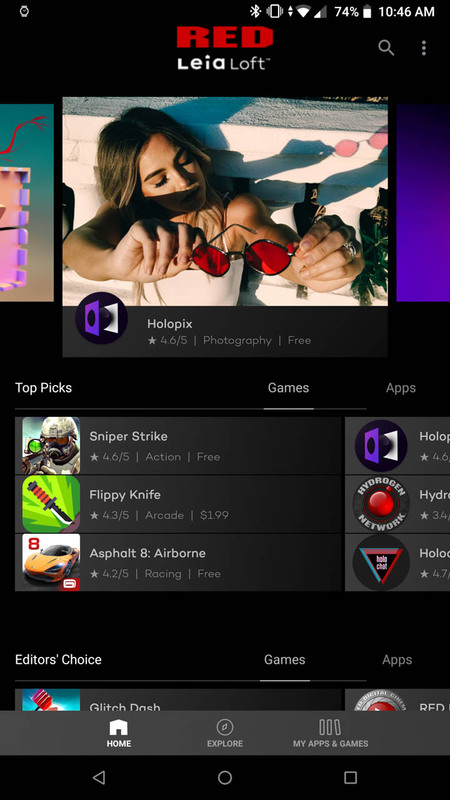 Here you will find all of the H4V holographic apps that are currently available. You will need to set up an account, but you can link this to Facebook or your Google account if you want to, so logging in is a little easier. 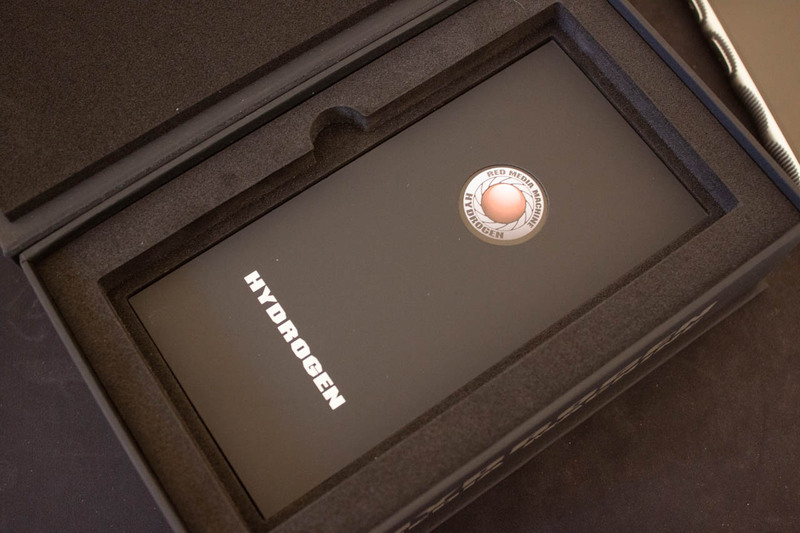 Currently the selection of apps and games are limited, but that is probably going to change as more and more people purchase the Hydrogen. I have seen multiple new additions in the last 30 days so things could change quickly in 2019. 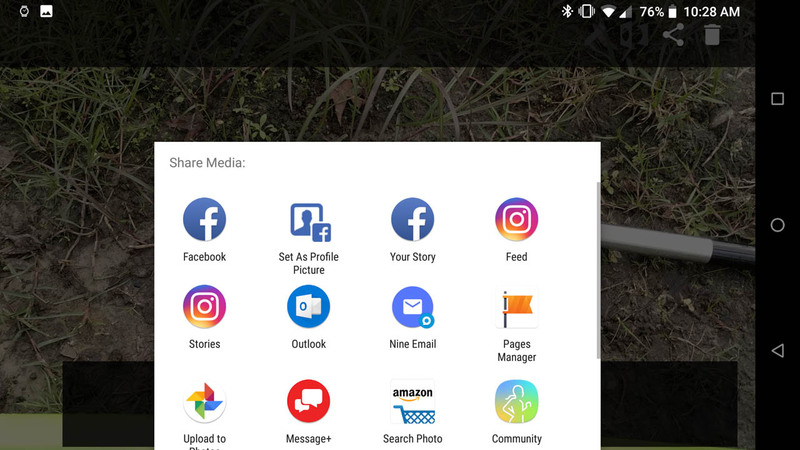 There are some stock apps that are pre-loaded (no, not carrier shovelware). 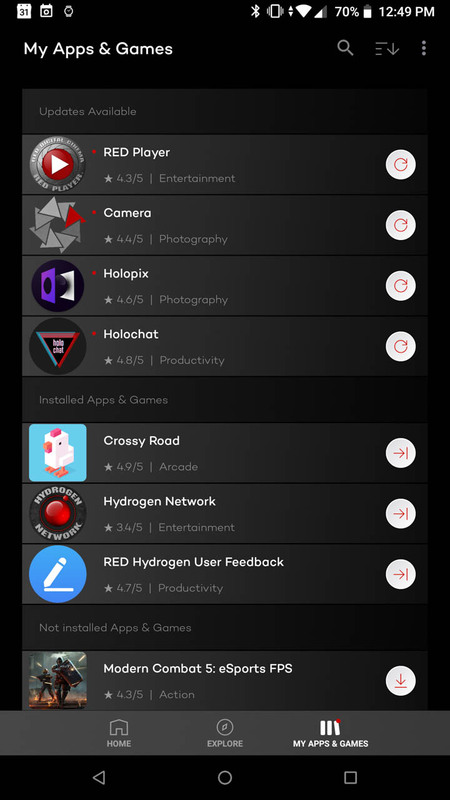 You get the LeiaLoft app, the Hydrogen Network (a source for H4V movies and shorts) as well as the Red Player and Red Camera. 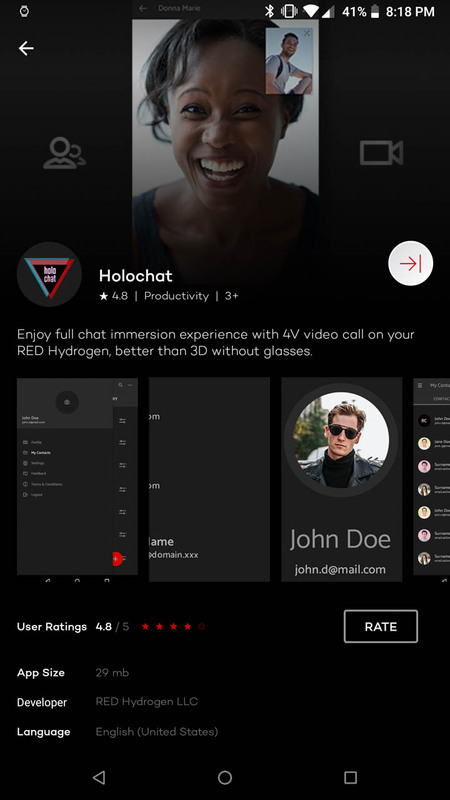 Other apps that I highly suggest are Holopix (it is like Instagram, but for H4V images), Holochat (an H4V enabled video calling app) and the RED Hydrogen User Feedback app. 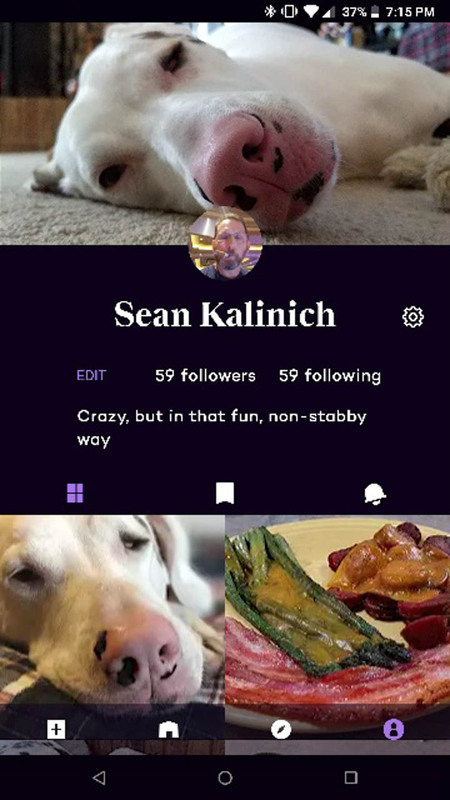 The latter app is useful if you have any issues or might be looking for new features. You can submit them all directly from this app. It is a nice option to have on a first-generation device and, to me, shows how much RED is invested in making this product a success. I played around with Holopix and the Hydrogen Network the most during the 30-day test run. I did not purchase any movies, but the trailers were very impressive and the free shorts were equally impressive. When you combine the movies with the A3D Surround effects it is quite the nice little movie machine. For Holopix I liked the interface and seeing all of the cool Holographic images other people are shooting. There are hashtags to use and you can follow others in the app, as well as follow by tag or just wander through what is trending. The Hydrogen Team is on there so you get to see what type of images they are uploading as well. I quickly found myself framing photographs for Holopix and only thinking of Instagram or Facebook as a secondary option. 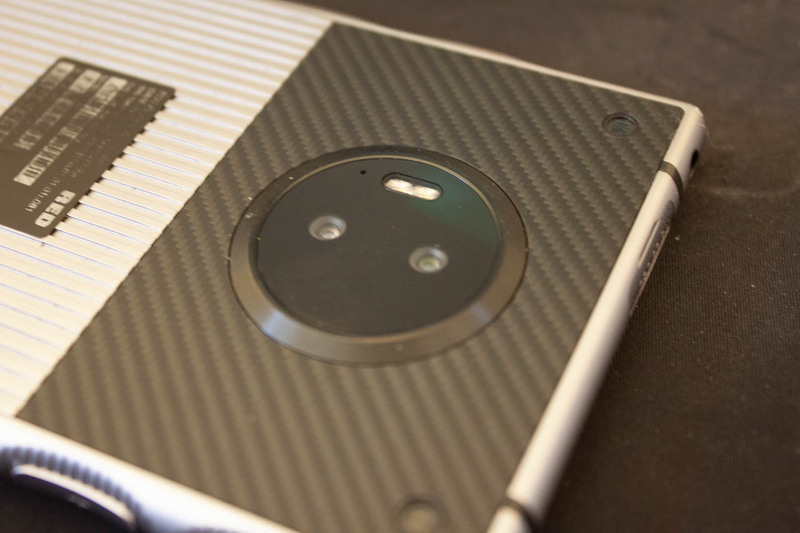 If you prefer a bigger footprint, I have heard that there are plans to get the H4V format picked up by Facebook, but you would still need a Hydrogen Phone to view it. As I mentioned in the intro, I used the Red Hydrogen One as my daily driver for more than 30 days. That means I migrated all of the apps, messages, contacts photos, videos etc. from my old phone. The old phone happened to be a Samsung Note 8, which meant that many of the Samsung specific apps did not migrate over. Some did not install, some had to be removed after I was finished. I used the Verizon transfer tool to complete this so it was not too rough to get everything over. A few items that I wanted from Samsung (like my Gear 360 and Galaxy gear Watch) I needed to completely remove and re-install. This was due to the way the devices work on non-Samsung phones and had nothing to do with the Hydrogen. Once I sorted those things out it was smooth sailing. My Bluetooth devices connected properly including my connected exercise gear and vehicle. 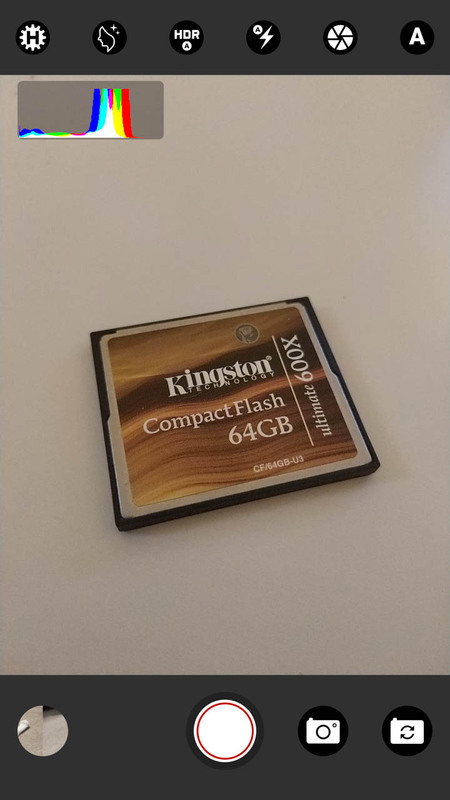 Kingston sent me a 512GB Class 10 UHS-I micro SD card for use with the Hydrogen One (Part Number SDCR/512GBSP) and I had no complications in getting that set up and using it with the camera. 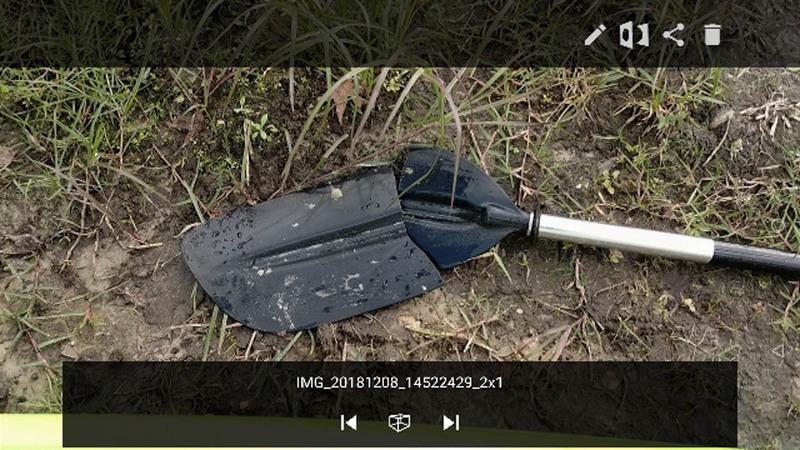 The Kingston SD card worked well for both still and video that I shot and was even set up for some applications to use it as their installation locale. Call quality was excellent via the phone or through a Bluetooth device. Battery life on an average day (spending about 5-6 hours talking on the phone during different engagements via Jabra Elite Sport) left me with between 35% to 40% battery remaining. This included Holopix usage, taking H4V Pro images (and posting them to Holopix), Facebook and Instagram browsing, sending and receiving texts and emails. So, all in all not too shabby. Of course, it does have a decent sized battery at 4,500 mAh. The Red Hydrogen One is a great device on many, many levels. It might not have the latest processor and it might be a bit larger than other products, but these are actually not a big deal. Samsung and other makers went for larger designs when Apple was stuck in the smaller mindset and look how that turned out. We also know that having the newest processor does not always make for a great device. It all really comes down to the user experience and what the product brings to the table. 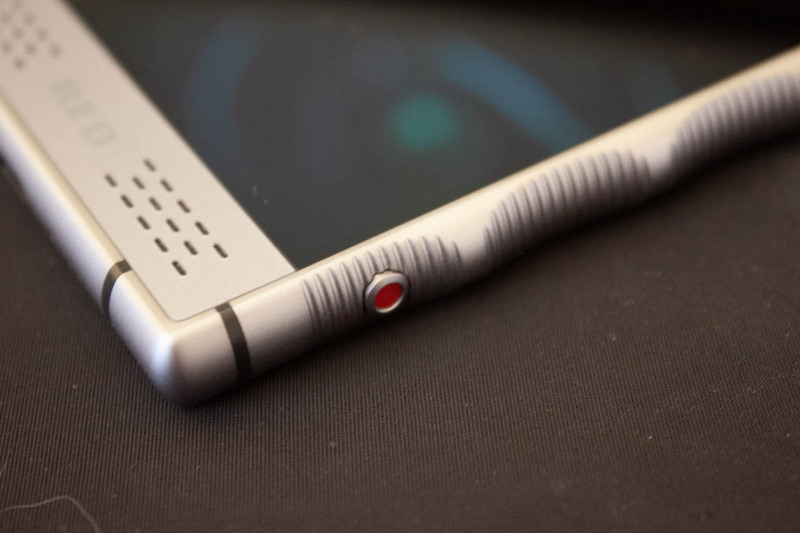 After reading a number of reviews before the official launch of the Red I felt like I was back in the days when Android phones were looking to push the limits of what you could do with a phone and its screen. RED is now in the same boat. They know there is a lot that can be done and from what I can see are working to do it. It is a very solid product with features and functions that you will not find anywhere else. Even the price tag is not much to scoff at, and not that far out of line with other flagship products (I purchased mine). By our estimation The Red Hydrogen One has what it needs to upset the smartphone world in much the same way as they did the cinematic camera world several years ago. The Red Team knows what they want to do and have the talent to bring that vision to life. The Hydrogen One we have today is just the beginning.